We believe that a church is a family and that membership is how people officially declare they are part of Godís universal Church by formally identifying with a local body of believers. Membership at Peace Church connects us all together so God can be glorified through the unity of the church, the utilization of our gifts, and the practice of accountability! Scripture is filled with images of the Church as a body (1 Corinthians 12), a building (1 Peter 2), and a flock of sheep (Acts 20); that is, a designated and specific group of people united by Jesus and their commitment to each other (1 John). In fact, the phrase ‘one another’ is used more than forty times in the New Testament, indicating that the Christian life is meant to be lived out in a committed community. Practically speaking, membership allows us to identify publicly with the beliefs, practices, and leadership of fellow Christians. As a church, we want to be sure that everyone who represents us through ministry has understood our vision and values and are committed to responding to the accountability of church leadership. While many volunteer opportunities are available to anyone who wants to get involved, only members can step into certain ministries and exercise leadership. This is not to make our church an “insiders club,” but to safeguard the flock by ensuring that those who minister are equipped and accountable. Practically speaking, only members can assume certain teaching roles, or be elected for Session or Deacons. Also, only church members are allowed to vote at our congregational meetings. These meetings are an opportunity to hear about the ongoing vision of Peace Church. They are also a chance to help affirm Elders and Deacons who will lead our church into the future, as well as a time for the congregation to give formal endorsement of the budget, which helps Session officially approve the annual budget. In summary, as a member of Peace Church, your voice will help shape how we move forward as a congregation. 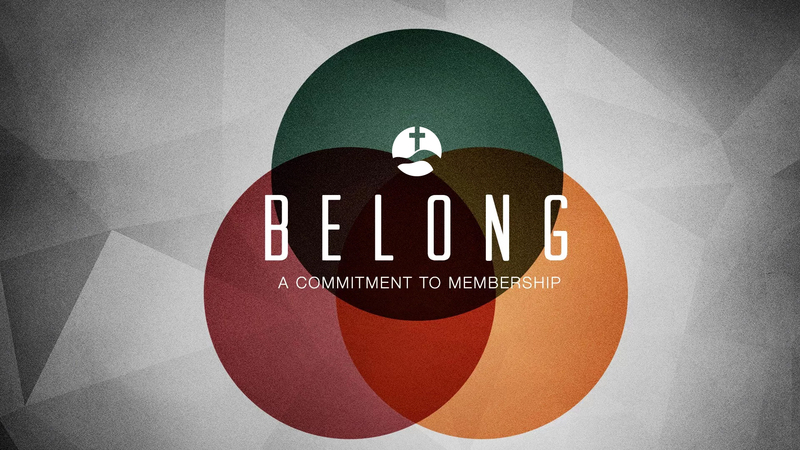 Membership is your key to understanding what Peace Church is all about. This Membership Class focuses on our beliefs, values, programs, leadership structure, and more—everything you want to know before joining as an official member. This three-session class is offered once in the fall and once in the spring on Sunday nights during our adult classes, 5:30–7:00 PM. Watch the bulletin for upcoming dates. Once in the class, we will help you determine the means by which you will come into membership. If you have never held church membership or made a public statement of your faith in Jesus Christ, you can join the church by making a first-time Profession of faith. Whether you have been a Christian for a number of years or are new in your faith, your first public profession is an important moment, a chance for you to declare your allegiance to Jesus Christ and the truth of his Word. Together, we will look at some of the key theological convictions we hold as a church and explore what it really means to believe and confess the Gospel. If you presently hold membership at a Christian church that will transfer your membership papers to Peace Church, you may contact that church and request that they send your papers. If you held church membership in the past or come from a church that does not keep membership records (but have made a profession of faith), you can join by reaffirmation of faith. These are all just avenues to the same end—becoming a member at Peace Church! Don’t worry! This is not a time when you are tested on Bible trivia or the Westminster Catechism. It is an opportunity for you to express your acceptance of the Gospel, your love and understanding of Jesus and what he’s done for you, as well as how God is working in your life. It’s not a test; it’s just a time of testimony! The elders will receive baptism and membership requests at the final session of the membership class. At that time, people officially become members! If at that moment you are not ready for membership but need more time to pray and process, that’s totally fine. We can set up a time for you to meet with an elder at the next Session meeting. One of the most exciting parts of the membership process is the church being able to welcome new members into our congregation. On a Life Together Sunday, happening in tandem with our worship services, we have the pleasure of welcoming our new members! We encourage you to invite friends and family to come and be part of this special day with you. Details for Life Together Sunday are given at the final session of each membership class.